The first thing you will notice as soon as you arrive in Iloilo is that sing-song, caressing dialect of Ilonggos. It envelops you like a warm hug, making you feel like a long-lost friend. It makes you eager to find out what everyone is talking about. Although I must admit that while the centuries-old churches, heritage homes and the beach are quite remarkable places to visit (especially for first-timers), tourists like myself are most excited to return to Iloilo just to soak in the pleasant, laid-back atmosphere of the province, the feeling of family and familiarity among its people and to feast on its delectable and sincere, home-cooked dishes. Nelly Garden in the town of Jaro was built in 1928 by Don Vicente Lopez and his wife, the former Doña Elena Hofileña, and named after their eldest daughter. With its extensive manicured lawn and florid American art-deco architecture, the stark white mansion transports visitors to the time of affluence when Iloilo was booming with sugar export revenues. The Angelicum School (Tabuc Suba, Jaro) is no ordinary educational establishment--it was once the estate of the Lizares family. The mansion was built in 1929 during the excesses of the sugar-industry boom, and for a time acquired a spooky reputation, having been reportedly used as torture chambers during the Japanese Occupation. Since the takeover of the Dominican Order, the mansion has been festooned with colored lights and ornaments every Christmas. Religious sites. 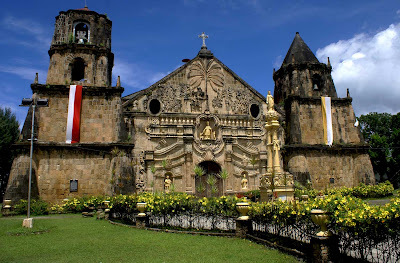 The Miag-ao Church (Santo Tomas de Villanueva Church) in the municipality of Miag-ao, southern Iloilo (about an hour away from Iloilo City) was built in 1786 by Spanish Agustinian priests and is on the United Nations Educational, Scientific and Cultural Organization world heritage list of baroque churches in the Philippines. The church functioned as a lookout for marauding Moro pirates and was built like a fortress with secret passages. The Molo Church (Saint Anne’s Church) in Molo, Iloilo, is every feminist’s dream church. Built in 1831 in the Gothic-Renaissance style, the church pays homage to 16 female saints with its main retablo focused on Saint Anne. Its two separate spired belfries were said to have once housed 30 bells of varying sizes that once tinkled in various musical tones. 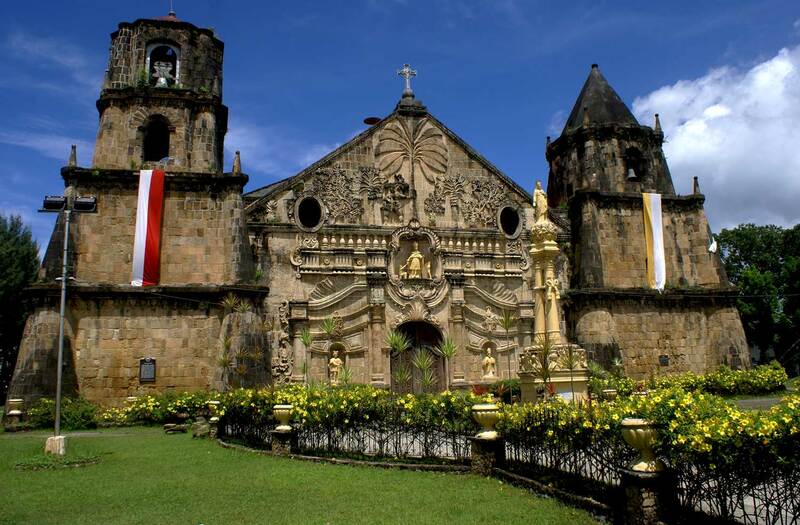 Other distinctive Spanish-era churches in Iloilo are: San Juan de Bautista Parish Church in Dingle, eastern Iloilo; Saint Jerome Parish Church in Dueñas; Santo Nicolas de Tolentino Parish Church in Guimbal; Our Lady of Peace and Good Voyage Parish Church in La Paz; and the San Jose Church in Iloilo City, which houses a 17th-century statue of Our Lady of the Most Holy Rosary. Local weaves. Due to the onslaught of cheaper textiles from abroad, sinamay weaving is practically a dying industry in Iloilo. Hand-loomed from piña or the fibers of pineapple, sinamay cloth and products can be purchased as pasalubong (gifts for family and friends that are usually bought during one’s travels) from the House of Sinamay along Osmeña Street. Cool it down. Iloilo’s coastline is home to some of the cleanest beaches in the province. Whether white, dark grey or black sand, the province’s beaches still provide locals and tourists a quick break from their harried lives. The most accessible beaches are those located in Oton, Tigbauan and Guimbal, which are still within Iloilo City. There are a number of resorts providing clean, basic amenities to beach bums as well as seafood restaurants to satiate those hungry tummies after having gone for a swim. In the towns of Ajuy, Concepcion, San Dionisio and Carles in northern Iloilo can be found white-sand beaches that can rival Boracay’s tropical treasures. Also in the north is Sicogon Island, with its pristine off-white beach; due to limited accommodations available, locals usually just go there for overnight trips. Eat! A visit to Iloilo is to fall in love with its cuisine. Many of the dishes—whether they are cooked in someone’s home, or found in the public market or restaurants—are extensions of the Ilonggos’ yearning for the languid life of comfort. 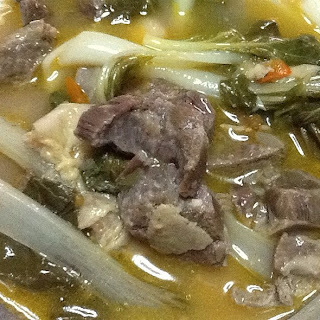 It’s no wonder that some of its well-known dishes are actually heartwarming broths like the la paz batchoy, pancit molo and chicken binakol. Go to Sarabia Manor Hotel’s Café Salvatore for a steaming bowl of pancit molo (pork dumplings soup) or if you feel adventurous enough, check out Kapitan’s old-style version in his house near Asilo de Molo. (Everyone calls him Kapitan because he’s a barangay captain, so everyone in the area knows him and can easily point out his house to you.) He is one of the best-kept secrets of Iloilo because local politicians and VIPs order from him whenever they have parties and they want to impress their guests. Each dumpling is lovingly handmade, with the broth so umami you just know there are no extenders. The best la paz batchoy (noodle soup with pork innards and cracklings) can be found in the La Paz public market. Take your pick from a multitude of stalls that all serve the soup with some deadly but delicious bone marrow. It is best eaten with fresh Puto Manapla (steamed rice cake from Manapla). Most chicken inasal (grilled chicken on skewers) in Iloilo are equally good, whether these be found in the restaurants or in the streets. At Tatoy’s Manukan and Seafood House (Villa Beach)—an excellent restaurant serving a wide array of seafood—they use native chicken for its chicken inasal, thus raising the bar higher for the grilled delicacy. Of course, if you are lucky enough to get invited to someone’s home for dinner, you can be sure that the traditional Ilonggo dishes served there will be genuinely authentic and even more superb. Shop! The best pasalubong from Iloilo are biscuits, cookies and sweet treats. Panaderia de Molo (Avanceña Street in Molo, with branches on Jaro Street and Rizal Street across the University of Iloilo) is probably the oldest bakeshop in the province and serves Spanish-style biscuits and cookies. Its best sellers are the kinihad, biscocho, merengue, hojaldres and bañadas. Biscocho Haus (8 Lopez Jaena Street, Jaro) also serves various cookies and biscuits, but its best product for me is the butterscotch, which tastes close to food-for-the-gods. For dried-fish goods, go to the Iloilo City central market on Rizal Street. These tabagak, guma-a, dried squid, danggit, etc. are must-eats for a great breakfast. Also at the market are ginamos (shrimp paste), which is the Ilonggo’s version of the bagoong. Party! 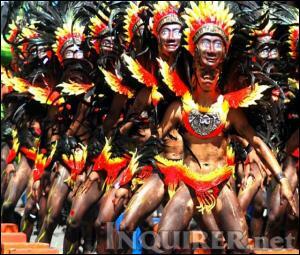 While steeped in their laid-back ways, Ilonggos are also party animals. Check out Smallville (Diversion Road, Mandurriao, Iloilo City) a complex composed of a hotel, bars and clubs and restaurants. Flow Superclub is the place to let loose, drink and dance your cares away. THE best budget-friendly hotel is Century 21 Hotel along Quezon Street, Iloilo City (033-335-8821 to 23 or click http://www.ann2.net/hotels/century21/). Aside from its great affordability, the rooms are clean, and the hotel itself is in an area where public transportation is always available. Sarabia Manor Hotel along Gen. Luna Street, Iloilo City, (click http://www.sarabiamanorhotel.com/) is a mid-priced hotel designed with old-world elegance. It has an excellent friendly staff and a good location as it is near shopping malls and only 40 minutes away from the airport. Its breakfast buffet has a wide selection of entrees. MOST airlines­­—Airphil Express, Cebu Pacific, Zest Airways and Seair—fly daily to Iloilo City from either Manila, Cebu or Davao City. It is also accessible by sea via Negros Navigation (from Manila, Cagayan de Oro, Ozamis, Iligan, Zamboanga City); Cokaliong from Cebu; and the Superferry (from Manila, General Santos, Davao, Ozamis, Zamboanga, Cotabao and Cagayan de Oro). 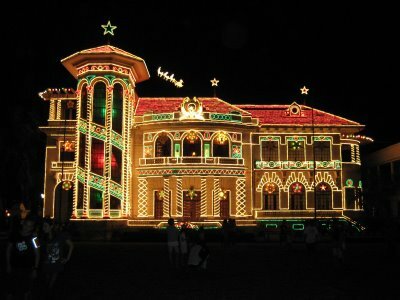 (Learn more about Iloilo from http://www.exploreiloilo.com/ and http://iloiloilove.com/).